My name is Linda and I am always on the run! Whether it is on the run to the store, on the run to the airport, on an actual run, on the run to my couch to watch TV, on the run to hang out with my kids, on the run from my problems [kidding! ], or on the run to go out dancing with my friends, I am not your typical 66 year old woman. 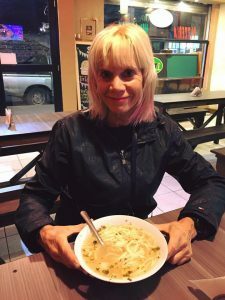 I am a passionate athlete, traveler, vegan, who also happens to be 66 years old. I am here to tell you that life only get’s better after 60 and there are so many fun and fulfilling things you can do later in life! 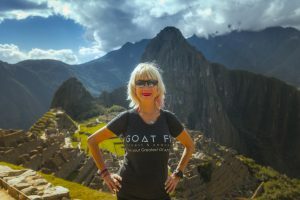 Whether you are an older adult or just want to learn how to feel this fabulous as you age, I encourage you to follow along with my life and travels! I have traveled to all 50 states, 10 countries, and 7 Canadian provinces. I completed my first Marathon at age 63 and my first Triathalon at age 64. I have been Vegan for two decades and love sharing home and living tips with others. I am not on any medications of any kind and people are often shocked to hear my age. 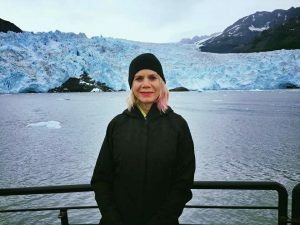 I like to call myself an “original blogger” because I was writing about my travels before the internet was even popular! Back when my kids were growing up, our family had a 40 foot RV and we traveled the USA and Canada by R.V. for four months out of the year for 7 years. While we were away for such a long time, I would write very long and detailed posts to be sent out via email to quite a large list of followers. Back in the late nineties and early two thousands, my writing inspired others to travel while updating them on our whereabouts. I was a nurse for 20 years and loved my job working in healthcare. 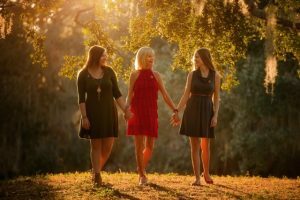 I left work to raise and homeschool my two daughters, Victoria [Age 25] and Vanessa [Age 23]. I am a late in life Divorcee as my ex-husband left me after 30 years when I was 62. It has been a difficult road but I hope to share my story with others and inspire them that you can still live your best life after age 60! I like to say that I have been “green” before it was cool! I have been vegetarian for 30 years and full on vegan for 20 of those! I haven’t eaten sugar [the refined kind!] for 8 months and I have never felt better! During my whole life, my family and my ex-husband never liked my cooking. I come from small-town Ohio where meat is the big thing. My daughters and others who eat my vegan cooking love it and I have gained the confidence that my cooking is actually delicious! I am excited to show each and every one of you how to create healthy and delicious vegan staples you will enjoy all year long! I have been running since I was in my 30’s and don’t plan on stopping anytime soon! 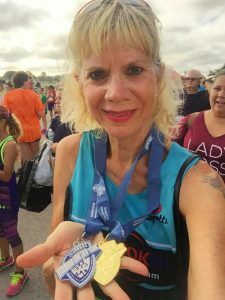 I have completed countless half marathons and completed my first marathon at age 62. I have completed two triathlons in the past year and love the challenge they present. I am also an avid swimmer and swim multiple days a week both open water in the ocean and in an Olympic lap pool. Fitness is a way of life for me and I hope to encourage others to fall in love with it as much as I have!